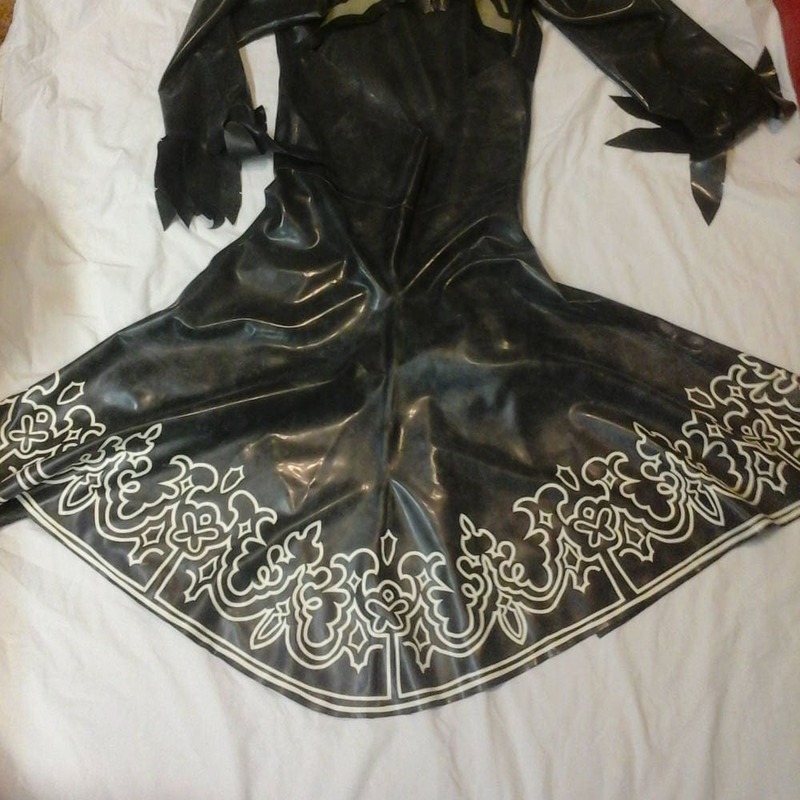 Styled after the outfit worn by 2B from the game Nier: Automata, this complete latex costume includes the dress and gloves. The dress has front and back lace detail, a full skirt with a high slit on one side, and an open back. The back of the neck opens with a short zipper. The model is wearing the costume with the Plain Trim option; the Fancy Trim option includes the more elaborate trim detail around the bottom of the dress. 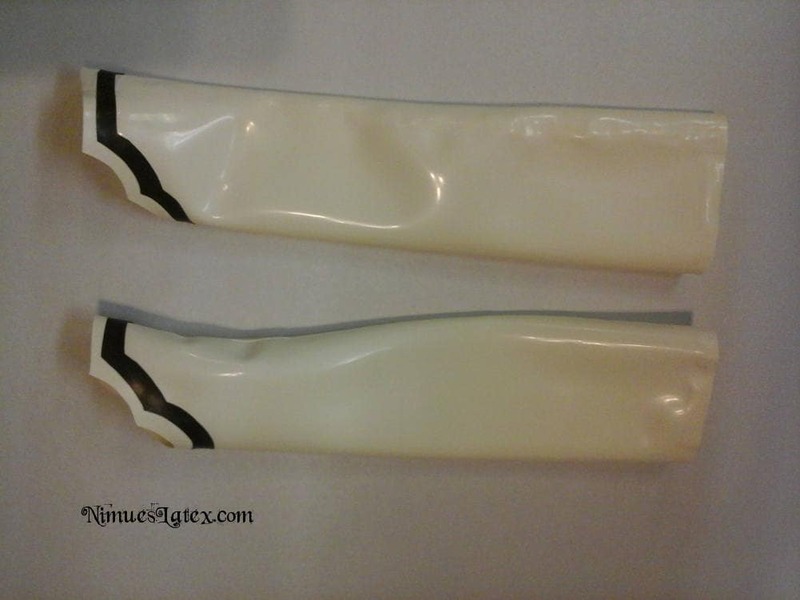 The fingerless gloves are elbow length and in white with black detail. The model is wearing a simple pair of plain black gloves underneath to complete 2B's look. The outfit pictured is made in Black latex with White for the trim and gloves and Semi-Transparent Natural backing the lace sections. I have a access to a wide variety of colors, so if you'd like a different color scheme just ask! Best Fit: There’s no extra cost for a custom fit! For this outfit, I’d need these measurements: your bust, waist, and hip measurements, along with the length straight down your front from your neck to your waist. The dress is 14 inches long from your waist to the bottom hem. I'd be happy to make it longer for you, but there will be an extra charge. Just send me a message and I'll see what I can do for you! For the gloves, I would need the measurement around your wrist, around your forearm (the largest part of your lower arm), and the length the gloves should be, from your wrist to the end of the glove. 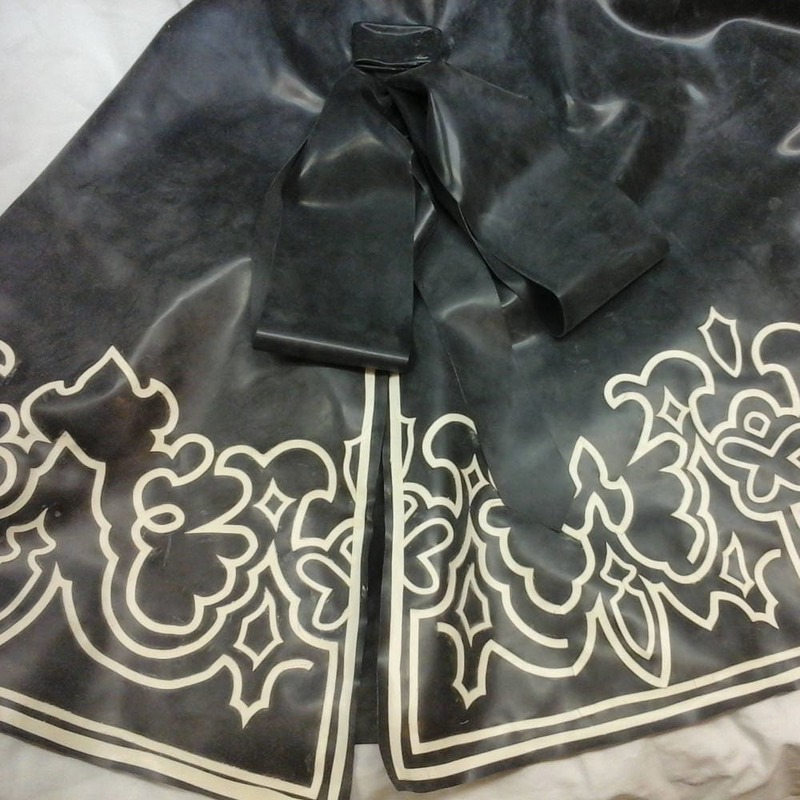 The dress and gloves are also available separately.